Dimensions 0 by 6.10 by 9.25 in. This book provides a comprehensive overview of the emerging technologies for next-generation 5G mobile communications, with insights into the long-term future of 5G. Written by international leading experts on the subject, this contributed volume covers a wide range of technologies, research results, and networking methods. Key enabling technologies for 5G systems include, but are not limited to, millimeter-wave communications, massive MIMO technology and non-orthogonal multiple access. Designed for researchers and professionals involved with networks and communication systems, 5G Mobile Communications is a straightforward, easy-to-read analysis of the possibilities of 5G systems. 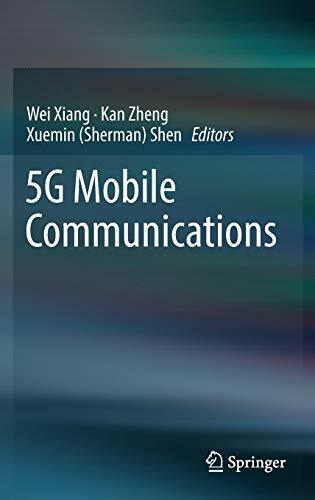 About: This book provides a comprehensive overview of the emerging technologies for next-generation 5G mobile communications, with insights into the long-term future of 5G.